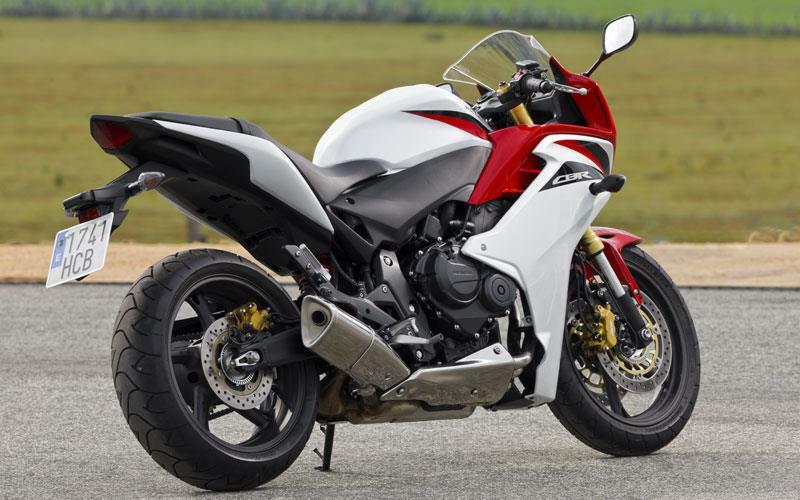 Honda Europe was asked to produce a modern-day version of its famed CBR600F, the bike that helped kickstart the 600cc supersport arena in 1987. With blessing from Japan, the CBR600F ABS is the finished article. And very good it is too by being easy to ride, comfortable, good looking and can be ridden quickly very, very easily. It’s keenly priced, too, because it’s built in Italy, but mainly because it’s built utilising the tried and tested CB600F Hornet chassis. Very balanced bike to ride on open roads. A slight heavy front end feel at slow speeds gives excellent feedback to boost confidence. 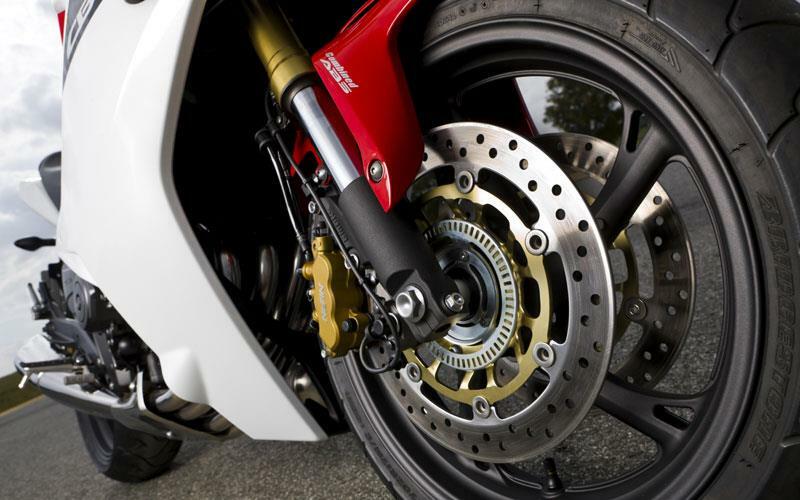 Front and rear suspension units are adjustable for rebound damping and spring preload but only ever need to be touched when carrying luggage or pillion, or both. Considering the CBR is a level entry sports machine it can dance the back road boogie in a very controlled way. Brake it, lean it and fire it out can be done with no complaints from the chassis. The seating position is a blessing from the gods. It isn’t full on spinal column-snapping supersport-style, nor Billy Bolt-Upright. The clip-on style handlebars are positioned perfectly to match peg and seat height for a comfy seat for many, many miles. A tried and trusted unit with roots dated back to 2007 when it first appeared wedged inside the supersport CBR600RR. Honda then took the motor and detuned it for less horsepower but added a smattering more bottom and midrange rasp. As used in the Hornet 600 and several other Honda middleweights, the engine is perfect to provide everyday ease of use with enough top end punch to have fun and experience high rpm supersport power. Gearbox, top end and all the bits in between are nigh-on mortar-proof. Electronics and decent fuel injection give clinical throttle response to make it one of the easiest bikes to ride. If the Hornet is anything to go by then the CBR will be perfect – although built in Italy it still falls under the same strict quality regime of the Japanese factories. If you’re not convinced about Italian mechanicals lasting, don’t worry - the CBR’s engine is built in Japan and shipped to Italy. 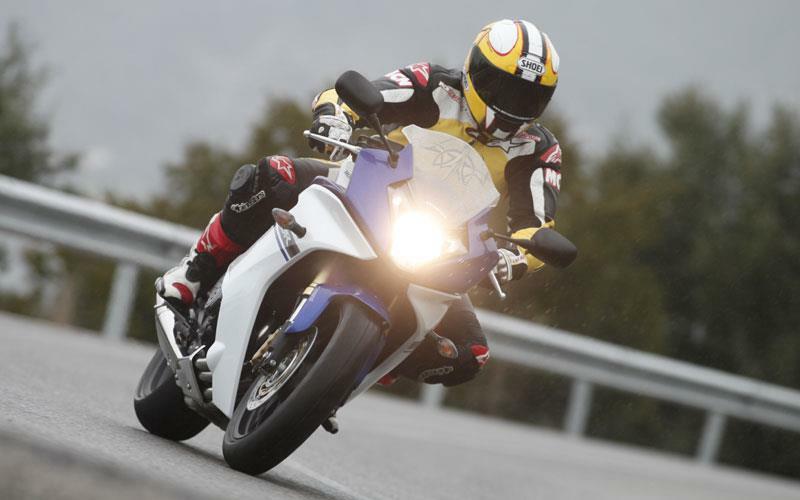 MCN’s first ride of the CBR showed the bike is well put together with no flappy bodywork and the usual quality fasteners. 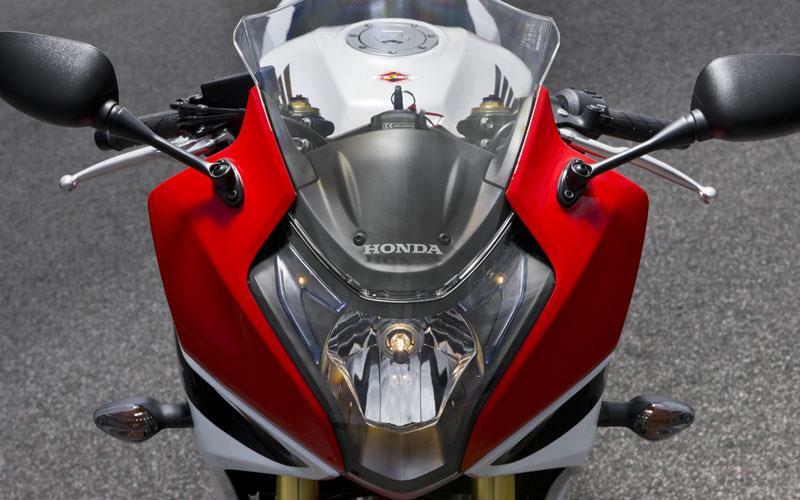 Honda is hoping the CBR will sell in volumes and has priced it accordingly. Even so it is not as cheap as we’d hoped for – Yamaha’s XJ6 Diversion F ABS is only £6999 – but considering the rising cost of raw materials and poor currency exchange it isn’t so bad, specially when the bike is as good as everyone expected. Gizmo-wise the CBR is sparsely decked out – but this is reflected in the price. 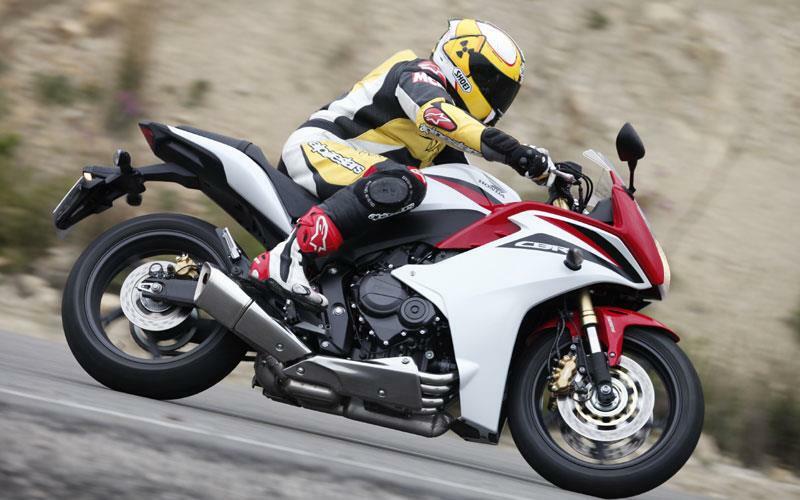 The CBR does have a recognised safety feature of Combined-Antilock Braking System (C-ABS), which is becoming a standard feature on Hondas and it works without being intrusive. The one-piece headlight unit is cool to look at the but it is just a headlight. 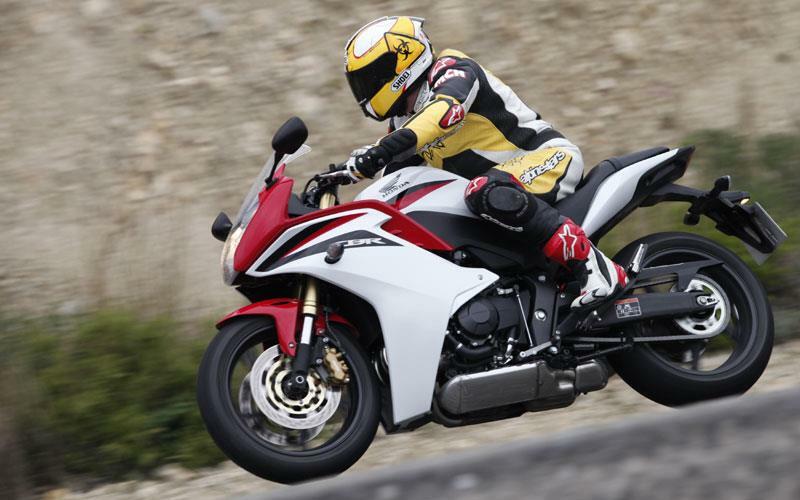 26 owners have reviewed their HONDA CBR600F ABS (2011-2013) and rated it in a number of areas. Read what they have to say and what they like and dislike about the bike below. Easy to live with, but plenty of punch and performance. Without a passenger the ride is perfect, and a good allround-bike. It's sporty as well. I can ride for 300 miles on a day without any problem. With a pillion, the monoshock needs some tensioning. Smooth and easy, but with lots of punch on higher revs. Apart from a few vibrations on certain revs, it's perfect. I've swapped to a full-on race-exhaust (de-cat) and tuned it a bit; now it runs smoother than before. I drive 12000 miles per year, very low service-cost. Lacks a few things as standard (gear-indicator for example) but the price makes up for it. I bought a tail-tidy, seat-cowl, full race system (LeoVince SBK de-cat), dark shield, new brake and clutch levers. Bought from Honda, perfect service. Smooth, refined, good mpg, 101bhp so has enough poke, very flexible will pull from 6th gear (23mph) without any fuss or bother, throttle response excellent with no jerk or snap from the fuel injection system. Not as exciting as a Ninja or GSX-R600, because it doesn’t have a power and like those engines do, but that makes it much more user friendly. It’s still plenty quick enough for most. Engine very reliable as is drive train, done 30k with no issues at all. Build quality is what lost its 5 star. Plastics vibrate and creak a lot, seat isn’t as tightly fitted as I’d like it to be. (Cost is straight service) mpg great 50 mpg no fuss, lower tax band, however only have it 4 stars because it’s substantially more to insure for me than an equivalent Suzuki GSX650f or Kawasaki ZX-6R. Which doesn’t really make any sense as the Kawasaki is a super sport and £50 cheaper to insure. Abs that’s it. No gear indicator,no mpg computer, oh does have a clock. Never let me down, always a thrill to ride. I've ridden around on it for 4-5 hours in one sitting. Sure a bit sore afterwards but not awful. Very smooth and linear. Good pull from low RPM. I bought an aftermarket rear hugger, had a Scottoiler and K&N filter fitted. The only thing that would probably not be bad to have is the under tray kit as that part of the bike gets unbelievably mucky, mud guard or not.. I bought mine from a dealer for a price way under the market value. Less than 2 years old with 724 miles on for £5.4k. 3 years on it's still worth £5k. Traded in my Kawasaki Ninja 300r (what a delightful little bike) for a Honda CBR 600F a couple of weeks ago as I wanted something a bit bigger. In spite of the year this bike had done only 3700kms. I really love riding this bike, however a couple of things bother me. The gear box is very clunky and the gear changes are not smooth. The back brake is very bad and could have been much better. However I don't regret buying the bike and am enjoying the ride. The petrol consumption is also quite good which came as a surprise. Ideal first "BIG Bike" or commuting work horse! I have had this bike for 15 months now and ride it regardless of the weather (except ice/snow!!) and it has been a pleasure developing my riding skills on. Thoroughly recommended. As a fairly new rider.... the brakes have gotten me out of trouble a few times...thank god for the C-ABS!! This is a sweet little engine that keeps on giving...It can carry you around town in its top gear at 40mph without a murmor. Its a very flexible setup indeed. Considering its a 2011 bike there is very little sign of wear or corrosion. The bike as performed faultlessly and has never broken down. The CBR600F is a brilliant bike, especially for a newbie - this is my first bike. I did Direct Access and bought this straight away. It's balanced, smooth, easy to ride slowly, and then faster as you learn. You don't need to move up either, unless you desperately want a massive engine. I wouldn't say it's on the heavy side (I'm female and only 5'5"), I can lug it about without too much trouble. Been around a track briefly and it kept up with the big bikes, caught up with them round the corners. Downsides - it's definitely more sports than tourer. Too pretty to attach hard luggage racks to, and no way will it go 170 miles to a tank. Mine does a little over 110, ridden smoothly. The seat is wide and not the most comfortable for a petite backside over many miles. It's also hard work in a traffic jam. I find 1st gear is either on or off, maybe thats just my poor clutch control! Fabulous for weekend jaunts and commuting, not quite so good for touring with respect to luggage handling or garage stops. Position is comfortable if it wasn't for that seat! I opted for this bike both for of its sporty look and great touring riding position. The blue version with a Scorpion exhaust is definitely a looker. Done 140 (with pillion and luggage) but I am sure it can easily do 160. ABS was very useful a few times, wouldn't go for anything else now. Did have some issues with the brakes- the previous owner jet-washed it which made the pistons to get stuck! Would have been great to be able to tell what gear you are in from the display. Having been riding supersport bikes for the last 15 years and approaching 40 I started to find the riding position and suspension settings of my current bike just too uncomfortable for my commute to work and Sunday blast. I started to look for less extreme bikes to the ZX6R’s, ZX10R’s and Fireblades I have owned in the past. I too was a little uneasy about losing some power when I made my decision to buy a new 2013 Honda CBR600F. I have had the bike for 5 months now and apart from taking it easy for the first 600 miles I have found the bike to be a great all-rounder. It lacks the extreme riding characteristics of my previous bikes but in return this has made it a lot more enjoyable to actually ride the bike and to appreciate the scenery, but when you want some fun the power delivery is smooth and the bike certainly has more torque that I remember in the old Honda CBR600F’s I owned at the start of my riding career. I would have given this bike 5 stars all round but the engine isn't quite the modern marvel they lead you to believe and the screen has a really annoying vibration as there is not enough re-enforcement to give it the rigidity in needs and wants . Don't let these few negatives put you off an extremely capable, easy riding and reliable machine. Well done Honda. Had the bike about a month now and have done about 1800 miles very pleased overall it's a lot smoother than my Versys was and has a linier power delivery with a nice little kick at the top end. I was a little conserned about fuel consuption but averager high 50s mpg with one care motorway run returning a very impressive 80 mpg over a 50 mile trip. Tank range averages 150 miles but I managed 205.7 miles from my last tank full. Can't see any negatives so far so what are you waiting for. I was looking for a replacement for my 'beginning-to-age' ER6f and was convinced by the salesman to take one of these out for a test ride. He knew exactly what he was doing! Fell in love with it straight away, and moreso when I tried to ride my ER home later. It might be a fraction heavy for us weak girlies, but the ER wasn't exactly a lightweight either. Lovely riding position, feels very natural and extremely smooth. Highly recommended! hello anonymous could you tell me what screen you put on your bike, I have the same bike and have put a powerbronze double bubble screen on but I could do with one that is still higher still but cannot find anyone who can supply one? any help much appreciated. Some might say going from a CBR600RR to a CBR600F is a backward step but I’m absolutely delighted with my new toy. Yes the 600RR is awesome and having helibars fitted made the slow riding easier but the riding position is fairly compact and I’m now nudging mid 40’s. 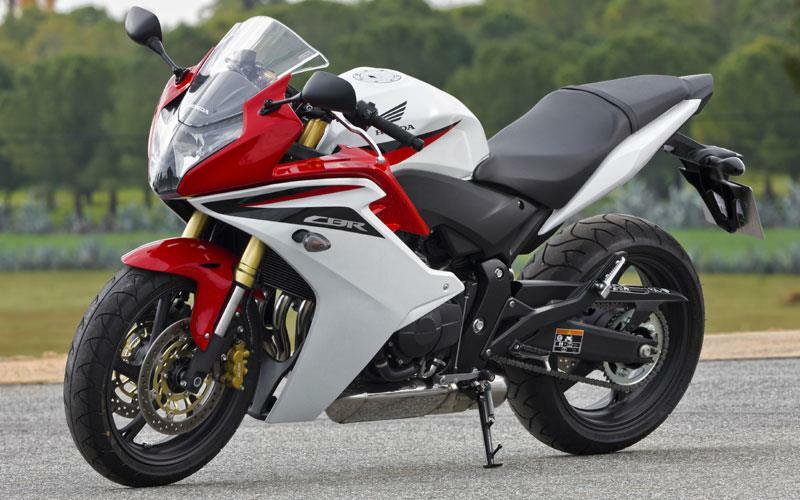 I originally thought my partners’ 600 Hornet was asthmatic, in comparision to the 600RR, ( until it was run in anyway ) so I doubt the 600F will be a let down and I wanted something like a sport tourer that wasn’t too large or heavy so I could travel on it if I wanted to. The riding position really is smack in between the Hornet and 600RR so not bolt upright nor too much weight on the wrists and it has the slightly sporty undertones. The mirrors are brilliant, seat comfortable, reach to bars fine, good position on the pegs to use the rear brake. Slightly soft rear suspension but I’ll stiffen that up and the Honda after market screen directs the wind blast straight onto my helmet. On the styling front, when you actually spend time and study it, it has lovely flowing lines and everything seems in the right proportion. I can’t really comment on performance just yet as I’m running it in but the signs seem good and the average miles per litre display function seems to be around 55mpg on varied riding. My only gripes are that my first two rides were at night and the headlight isn’t great and sadly ventura don’t do a dedicated pack rack system for this bike! So overall probably a very under rated bike that people bypass for the wrong reasons. Same as Kebian. Went out for a test ride then on my return traded my ER-6F(2009)in. The Honda is a great bike. I had a go on the demonstrator and immediately put down a deposit when I got back. Lovely bike. Insurance wasn't easy on the wallet though. I'm 35 years old but I've held my full license for only 9 months and managed to insure an XJ6 Diversion F for £300 as soon as I passed but now 9 months later it's costing me £1050 to ensure this bike. 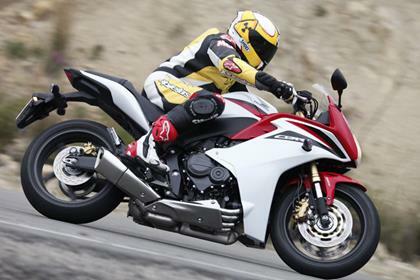 If you're a new rider looking for your first 600cc then check the insurance first! Ok, Ive had mine for 2 weeks now and can report that the bike is superb. Firstly, I bought mine pre-registered and after 2 weeks of feining disinterest and haggling, ended up with a new bike (red/white) with 360 Honda heated grips, Honda hugger, tankpad, free 600mile service for £5400! 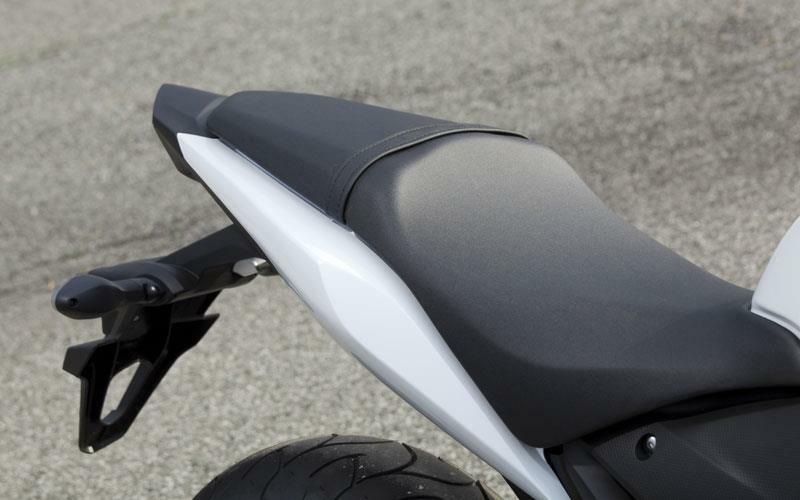 Without a doubt, the hugger provides not only an important functional role, but also balances the look of the bike. As an engineer I was firstly struck by the quality throughout bike, and was therefore equally disappointed with the design oversight that leaves a small gap between the tank and side panel, but I wont let this minor point spoil my pleasure. And the budget-imposed Hornet mirror lugs have already been sufficiently scorned elsewhere. From the first press of the start button the engine runs with the smoothness of an electric motor. The engine is a perfect balance of restraint and responsiveness for commuting (below 5K) and brutal power for whoohoo smiles above this. The seemingly perfect balanced weight and engine control makes dawdling along in traffic a synch, and its honestly as docile, easy and controllable as riding a bicycle. But then you open the throttle and at 3K the exhaust starts to sing, just a little, but builds gradually to an adrenaline pumping sound that WILL make you want to go faster. Ahh the temptation to dance with the devil, this bike is not for those with poor self control. 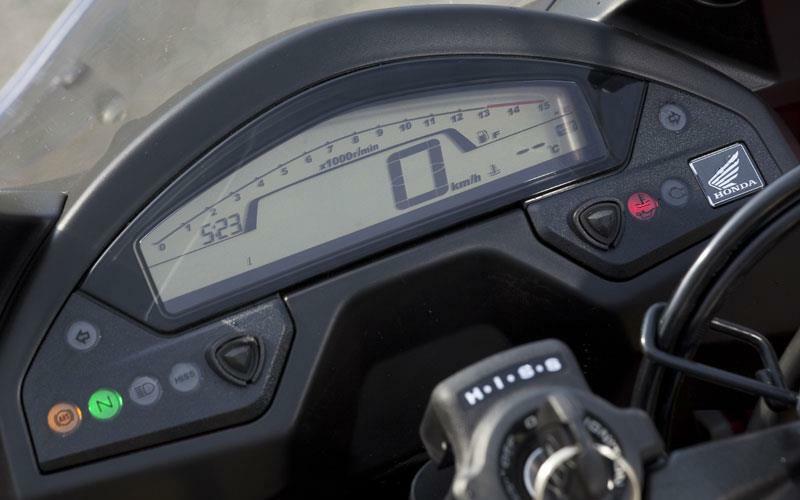 But however you ride, 50+ mpg is easily achievable and the on-screen meter will let you know average and instantaneous readings should you need them. Front brake alone is mediocre (Im told it will improve with miles) but combined back/front use is impressive and confidence inspiring. Suspension and frame are more than adequate to absorb the worst of Britains roads with minimal fuss. Im 5foot 8 and find the riding position fine, but I do wonder if those with longer legs may find the position a little cramped. The standard screen is very comfortable for non-motorway speeds but ducking behind it does provide a comfortable cocoon when needed. A raised screen is on my Xmas list. What more can I say. Go see it in the showroom - the italian design influence is much more impressive in the flesh. Go sell you mother and buy one, you wont regret it. Bought one for my gas and heating business to run up and down the M6 at busy periods for small jobs. 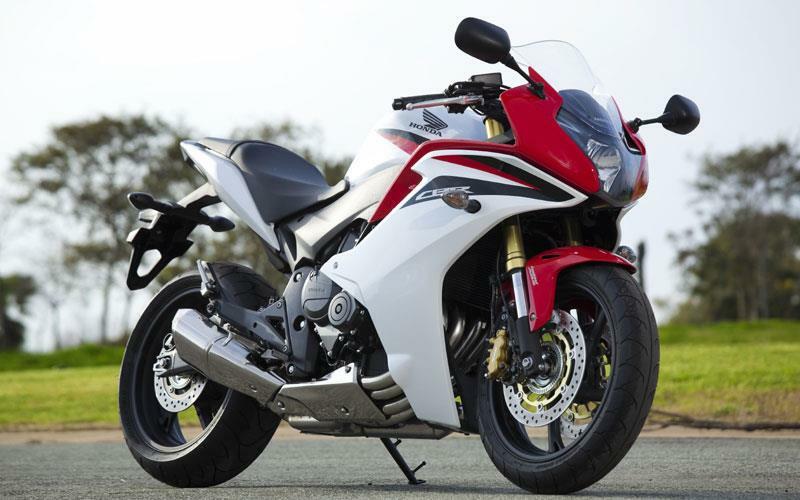 The Honda cbr600f 2011 doesnt excell at any one thing yet it all comes together to do everything brilliantly??. A little slow below 5000rpm but then comes alive or is it me being used to v twin monster bikes. Comfort is second to none for a "R" bike and you could nod off but not adviseable. Beautiful italian design to front end and looks better in the flesh. 0-60 is 4.2 and top speed is over 140mph apparently. ABS a nice touch too. To sum up. The Thomas more of bikes, does everything right. I am extremely happy with mine. Having owned a ER6f (2011), a 650 Bandit (2008) and a 600 fazer S2 (2007) I can now say that in my opinion this is by far the best bike out of the lot. Yes, it is a bit more money than the others mentioned but the extra quality of the bike by far exceeds the extra cost. I am in my mid 40s so I didn't want an RR model, but neither did I want an OAP bike. This is the best of both worlds. It handles well, it is fast enough for most people, it is reasonably comfortable and the quality of the build is just superb considering the 7k price tag. I particularly like the fully adjustable suspension and the light and easy handling. The only niggle is that the fuel gauge is a little difficult to read. I would recommend anyone thinking of buying one to take their deposit with them to the dealer on the day of the test ride, as this will save them the time and trouble in returning to the shop to buy one the very next day. It's that good ! Absolutely fantastic bike so easy to ride looks good does what you want. Mine does 54 mpg ridden between 75-80mph on motorways ,so good on fuel ,can bungee my rucksack using the grab holes at the back and hooking some of the bungee hooks on the lower part of the frame, works brilliant. got mine last week done 300 miles already cant keep off it, its great fun. I rode the CBR 600 F yesterday. Wow. . . they have jusr got it right. Forget all that about it being a Hornet with a fairing etc. Where did the Hornet come from any way ? Yes, that's right, a CBR 600 without a fairing. The wheel has turned full circle. The MCN review is inconsistent, they praise the bike and then mark it down on points./. bizare ! Any way it's light, it handles, it goes smoothly and progressively and it has great build quality. No, it's not a Fireblade or an R1. Nor does it pretend to be but I'll tell you this; It will; put a smile on your face and that is what it is all about. I cane back from my test ride and bought one, I pick it up tomorrow, SORTED !